The sound! The choir must sound REAL! I must be able to automate most if not all of the options so that I can use it better in my template. Out of all the companies I evaluated, 8Dio is the best. Their choirs sound very realistic, the cross fading between layers is seamless and the options are just what you need. Insolidus is the latest choir created by 8Dio. They refer to Insolidus as a “lyrical choir”. As opposed to a very large boisterous choir, this choir is for when you really want to create emotion with the voices. Insolidus is a 65 voice choir (40 men and 25 women). It comes with the ability to play phrases which they call “Multi-Vowels”, arcs, legatos, shorts and sustains. Different phrases can be put together using their phrase sequencer or via automation. The blend of the men and women can be changed. Everything in Insolidus can be fully automated. The phrases are in 3/4 and 4/4 time. This choir comes with polyphonic legato which allows you to play as many notes as desired and transition between them. Also, if moving to different notes during the playing of a phrase, the new note(s) will start from wherever you are in the phrase rather than triggering the beginning of the phrase. Any patch that uses phrases is tempo-synced with your DAW and can be played at normal tempo, half tempo, double tempo and triplet. You can play either the full choir, just the men or just the women. It comes with eight Mic positions (Mixed, Decca, Wide, Far and Spot x4). This library sounds unbelievable, especially with a nice reverb added to give it some tail. The library only works with the full Kontakt player. More CPU intensive than I would like. The CPU% in Kontakt spikes up when just simultaneously playing 4 or 5 notes. This choir was created prior to Insolidus so it is missing some of 8Dio’s newer features such as polyphonic legato and tempo synchronization. In the Insolidus walkthrough video it is mentioned that 8Dio will go back and update previous choirs with this functionality, however, I wouldn’t hold my breathe. It comes with three Mic positions (Mixed, Decca and Far). Phrases can be put together with the phrase builder or via automation. You can use the full choir, just the men or just the women. It only works with the full Kontakt player. Although I have many Cinesamples libraries I am usually somewhat disappointed in their sound and/or capabilities. Because of that I was a little reluctant to purchase Voxos. Over the holidays it went on sale so I decided to give it a try. As with other Cinesamples libraries, Voxos was a little disappointing. The good aspects of this library are that it comes with a phrase builder, legatos, chords, octaves. The choir includes Sopranos, Altos, Tenors and Basses. A Boys choir and several different soloists are also included. There are four different Mic positions (Close, Stage, Far, Surround) plus a full mix. Most of the options in the library can be automated. Most of the library sounds really good. What was disappointing to me is that I can’t automate the blending of the voices. Some times the legato transitions between voices doesn’t sound natural. Maybe it’s just me but the legacy solo Soprano sounds awful! All of these libraries come with different voice effects like rises, stabs, and many others. Some of the voice effects included with Voxos I simply can’t see ever using (of course that might change someday). 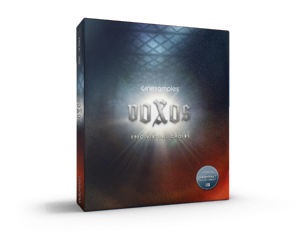 Voxos is a Kontakt library but I am unclear as to whether or not it will run in the free version. Phrase building in Voxos is different from Insolidus or Lacrimosa. In the 8Dio libraries phrases are made up of 2, 3 and 4 syllables. You can put those phrases together to build a larger phrase. In Voxos there are many syllables that can be put together to create a phrase. Neither approach is better than the other, they are just different approaches. The phrase building can be fully automated. Metropolis Ark 1 and 2 are Orchestral Tools collections for creating epic film compositions. They include many different instruments and sounds. Also included in both libraries are great sounding choirs. In my opinion they sound better than Voxos. Between the two libraries, there are two Women’s choirs, two Mens choirs and a Children’s choir. The legato transitions sound good and the sonic quality of the choirs is great. The reason why I ranked them lower than Voxos is because there isn’t much flexibility and there isn’t consistency between the multi’s and the singles patches. Some of the patches have phrases but their implementation is via round robins which is unlike any of the other choirs. There isn’t anything visual that tells you which phrase or syllable will be triggered by a given round robin. A given round robin can be turned on or off. For example, if you only want to use two of the syllables you turn off the other round robins that you don’t want to use. The round robins can only be turned on or off when using the singles patches. They aren’t even available to be turned on or off in the multis patches. The round robins cannot be automated, so it’s not easy to use in a template. The patches that don’t have phrase building are limited to two syllables which can be crossfaded using CC#2. With that being said, the syllables that can be used are probably the most common ones. I actually used the children’s choir in first part of the following composition which was my own personal attempt at composing trailer music for the movie, Troy. The children’s choir plays from the beginning until approximately 25 seconds. Because the choir is only one small part of the Metropolis Ark collections I wouldn’t recommend purchasing these collections just for the choirs. However, if you do purchase the collections the choirs sound great, albeit, they are somewhat limited. I also found the documentation on how to use the choirs very limited. It took me a long time to figure out that the round robins were used for phrases. The choirs use up to six different Mic positions. Metropolis Ark 1 and 2 work with both the free and full Kontakt player. Of all the choirs I have purchased, EastWest Symphonic Choirs is by far the worst. I will go so far as to call it trash. The one good thing I will say is that it is highly configurable. Using the Word Builder, you can configure the choir to say just about anything. How the choir says each syllable can be configured. It is a very powerful choir library. However, to be blunt, the choir just doesn’t sound good at all. It was the one choir that immediately sounded artificial as I started playing around with it. The syllable transitions just didn’t sound real. It sounded and felt like I was using a computer-generated choir. I feel like I can use all of the my other choirs even though they all have weaknesses. EastWest Symphonic Choirs, on the other hand, was a waste of money. I wish I could send it back for a refund. Unlike the other choirs, East West products play within their proprietary Play Engine. Included are Sopranos (section and solo), Altos (section and solo), Tenors, Basses and Boys (section and solo). There are certain syllables that are pre-configured or you can use the Word Builder to build words using English, Phonetics or VoTox. There is an expansion that can be purchased giving you access to additional voices. The whole choir was recorded with a single mic position. I am an Los Angeles, CA based Composer for Visual Media including Film, TV, and Video Games. I am also a Berklee Online student. I have composed music for several short films. I am an independent contractor composing music cues for companies such as Burnett Music Group and ScoreKeepers. Through those relationships my music has appeared on several television shows. 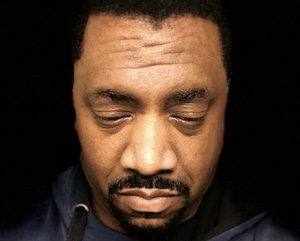 I have been producing music for more than 20 years. I have produced projects for several independent artists as well as two compilation projects called Soul Cutz Vol. 1 and 2.